Your expertise is fleet. Our expertise is fleet and motor pool technology. Whether you have 25 vehicles or thousands, FleetCommander will help you share vehicles, understand your utilization, manage assigned vehicles, right-size your fleet, and more. How may we help you? Are you like Fleet Manager Sam? Solve your motor pool problems like Fleet Manager Sam. Watch 30-second video. Sharing vehicles is a breeze with FleetCommander. Our solution enables you to eliminate paper processes and offer online motor pool reservations to manage medium to large-scale fleets. Plus, our dispatching solutions automate the management of keys around the clock. And, FleetCommander’s dozens of reports makes right-sizing initiatives effortless. Whether you are starting a motor pool or improving the efficiency of one you have, FleetCommander is the solution for you. FleetCommander technologies address nearly every aspect of managing your fleet. From motor pools and assigned vehicles, to maintenance, parts, fuel, accident and risk management, to billing and right-sizing, the FleetCommander fleet management information system (FMIS) simplifies fleet management. And the efficiencies you’ll achieve can save tens of thousands-- even hundreds of thousands -- of dollars. Ask us how we can save thousands for your fleet. Did you know our customers routinely reduce the size of their fleets by 15% or more? From vehicle usage analytics to fuel costs and much more, data collected by FleetCommander gives you a clear picture of what you are spending on your fleet. Easily identify which vehicles to retire, and what types of vehicles you need most. All automated and online. It couldn’t be easier. "...completely streamlined how we manage vehicles"
Let’s face it: people don’t like change. 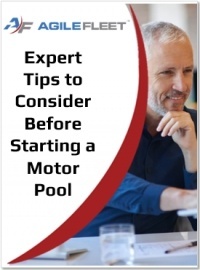 Despite the fact that there are many great reasons for organizations to pool vehicles, convincing drivers that sharing can actually be an improvement for them can be an uphill battle. This ebook will help you change that. Download it now. New to car sharing? Since 2000, fleet managers have been turning to fleet technologies to help make it easy and efficient. You can too. This report offers expert tips on where to start and help you avoid costly startup mistakes. Download this report now. 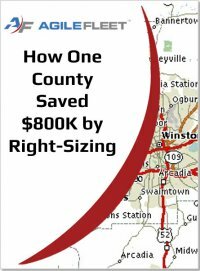 The Forsyth County, NC automotive division achieved $300K savings by eliminating 8% of their total fleet, streamlining key management processes, and slashing by 50% the County's expenses for personally-owned vehicle (POV) usage. Download this success story and find out how they did it. 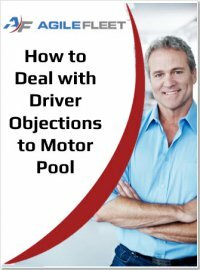 Ever wonder how to expand your motor pool beyond one location? 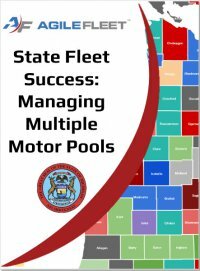 Read about how the State of Michigan manages 15 motor pools from one central location in the state. Download this case study and find out how they do it.